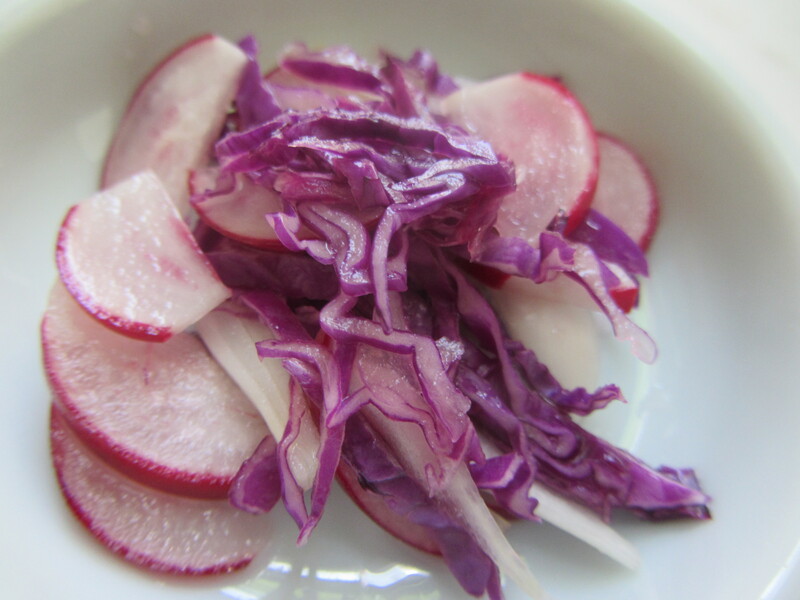 These vegetables are lightly pickled, souring them slightly, and aiding digestion first thing in the morning. 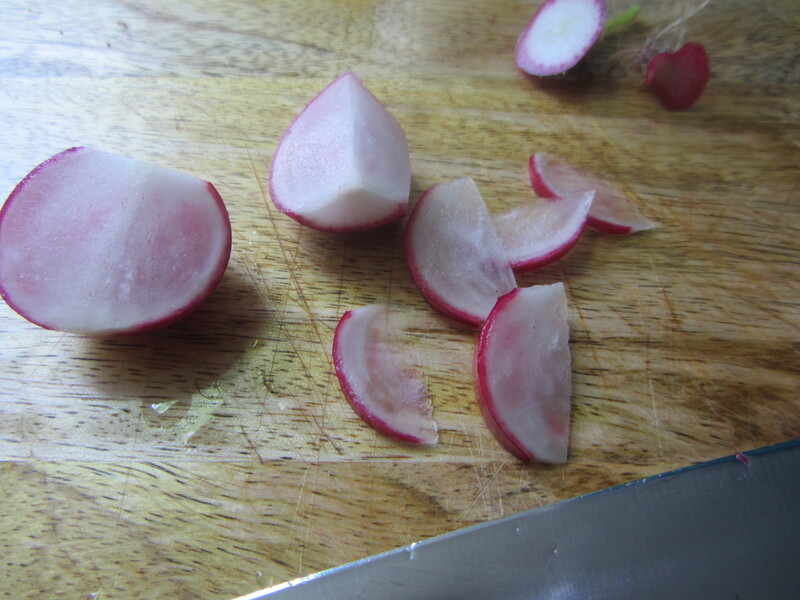 Process Wash the radishes well. Slice them in half, lengthwise, and then cut each half into paper-thin half-moon shapes. Place them at the bottom of a small to medium sized glass bowl. Note: you must use glass or ceramic – not metal -whenever making pickles. 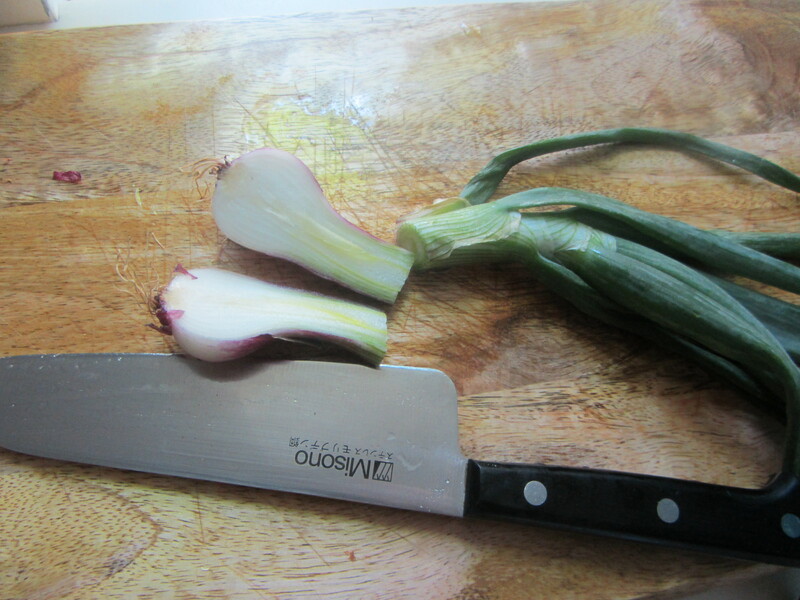 Trim the bottoms and tops off of the onions and slice them in half, lengthwise. Cut each half into paper-thin half-moon shapes. 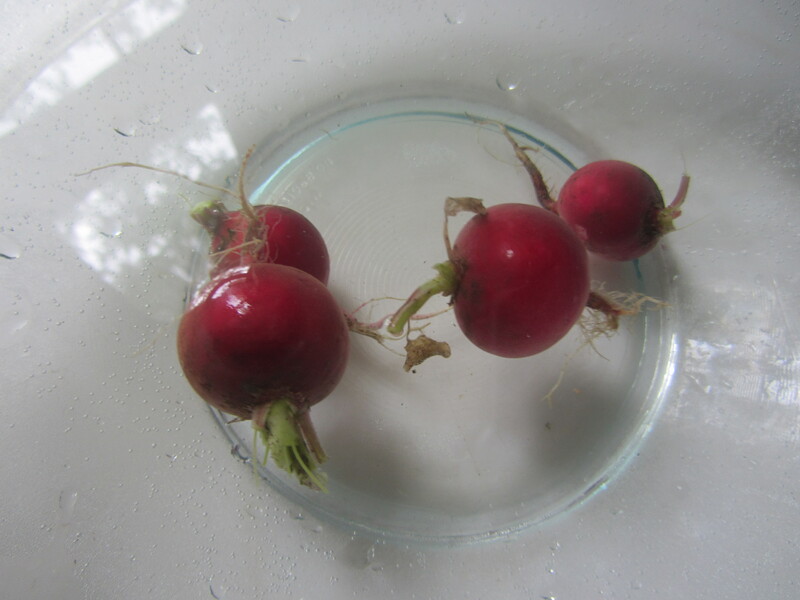 Place them in the glass bowl on top of the sliced radishes. 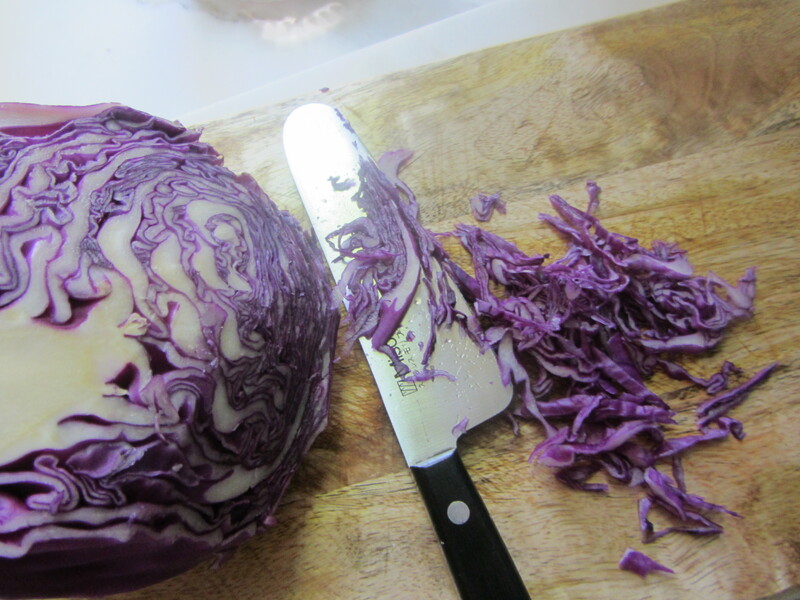 Slice the cabbage into very thin pieces by running the knife along the edge of the halved or quartered head. 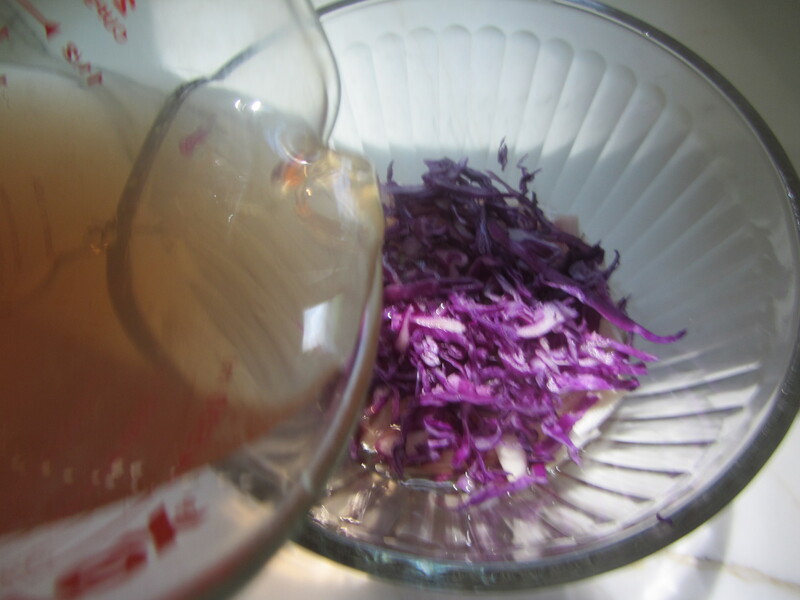 Place the cabbage pieces on top of the onions in the glass bowl. 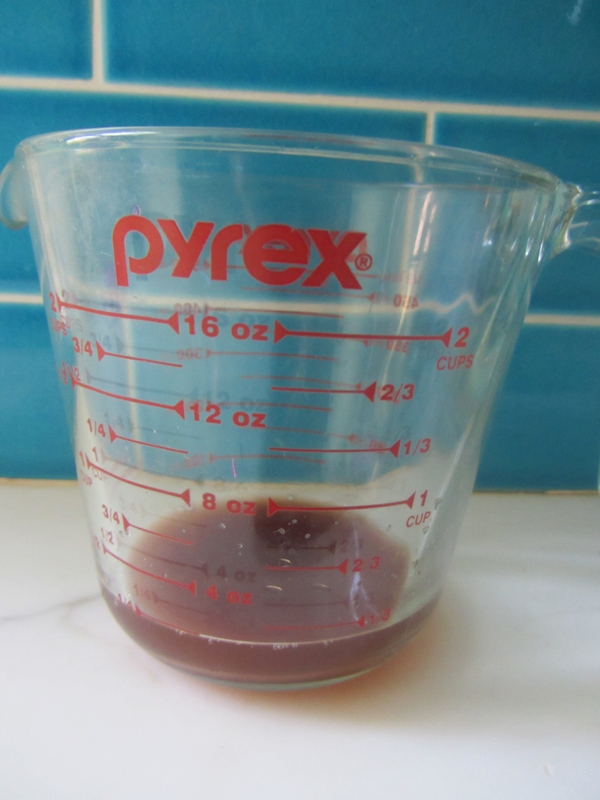 Pour the ume plum vinegar into a measuring cup or small pitcher. Add the water. Pour the mixture on top of the cut vegetables. Allow them to pickle for anywhere from 20 minutes to two hours: the longer they soak in the vinegar mixture, the more sour and pungent they will taste. 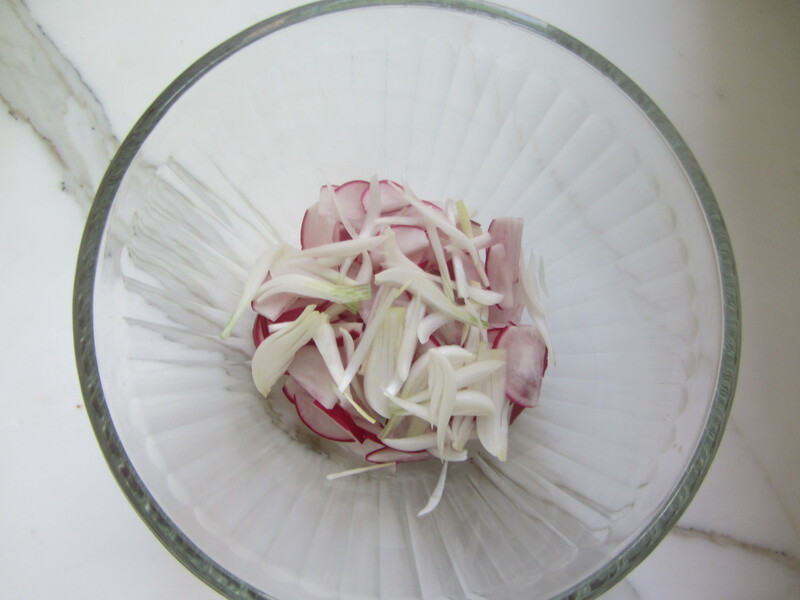 Use a small wire mesh skimmer or a slotted spoon to remove the vegetables from the brine; serve.